Re-interpretation of the classic clip-on picture frame. System with 2 simple stainless steel wall fixtures. HORIZON is available in 2 photo formats: 10 x 15 cm and 20 x 30 cm. Length as desired and determined by the glass plates, which mount into the wall fittings. 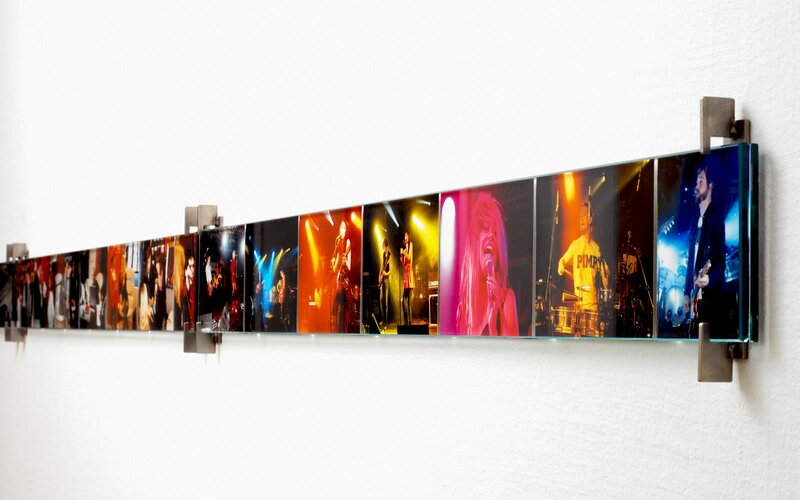 Kvorning Design & Communication offers mounting frames to any desired length. HORIZON 10/15: 2 fittings for frame– excl. glass. Perfect for photo format: 10 x 15 cm. HORIZON 20/30: 2 fittings for frame – excl. glass. Perfect for photo format: 20 x 30 cm.